Priyanka Chopra tripped and almost fell down the stairs during a recent outing with Nick Jonas. However, her husband's biceps saved the day. A video of the same has surfaced on the internet and is being widely shared by several fan clubs. What has grabbed the attention of fans is Priyanka's reaction after her oops moment. Not only was she unfazed, she burst into peals of laughter. 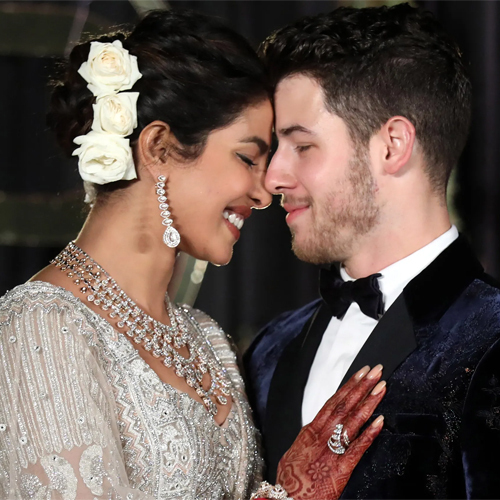 Nick and Priyanka have been setting indomitable relationship goals ever since they tied the knot at the Umaid Bhawan Palace in Jodhpur on December 1 and 2 last year after a whirlwind romance. In fact, on the day before their wedding, Nick swept Priyanka off her feet with a romantic surprise, she revealed at the premiere of Isn't It Romantic in Los Angeles.